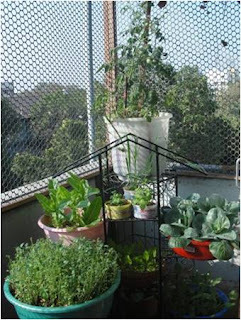 Urban Leaves India: 5 Baby Steps to start off your kitchen garden. 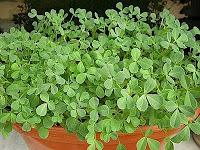 2 Choose small containers at home that can be recycled to plant small herbs. o Use what is readily available. o An old plastic tub, container, bucket, oil cans, bisleri bottles. o Start your own compost pot. 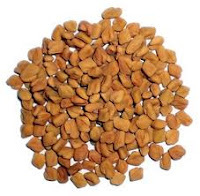 · Soak the fenugreek seeds overnight, allow them to sprout and then sprinkle them over the cocopeat in the container you have readied to plant.Fenugreek can be harvested by 40 days. Something simple like this can also be used in your cooking. Check out this recipe for Methi Dal. On Sunday 3rd July we had quite a gathering of enthusiastic wannabe kitchen gardeners braving the Mumbai rains and coming from far off suburbs. It was very heartening to see them. We filled the base of the pots with semi decomposed dry leaves, layered with mixture of the compost and soil, planted herbs like spearmint and pudina, mulched with coco peat. ( to use cocopeat: Immerse the cocopeat in water. It will absorb water and swell up. Remove it from water, squeeze dry and spread it as a top layer on the mixture of compost and red earth).In very tiny containers use coco peat. If you are using sugarcane bagass to mulch make sure that you use the very fine fibers. 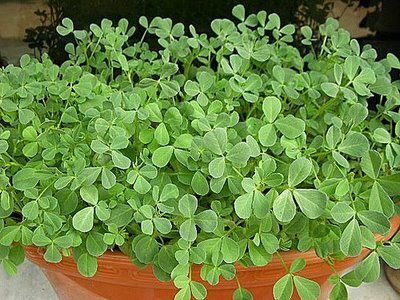 If you use leaves, ensure you crush them thoroughly into fine parts. We would love to have you join us on all of these Sundays , however you may also start by simply following the blog and experimenting yourself. We hope that with these simple steps you will have started your own small little kitchen garden.